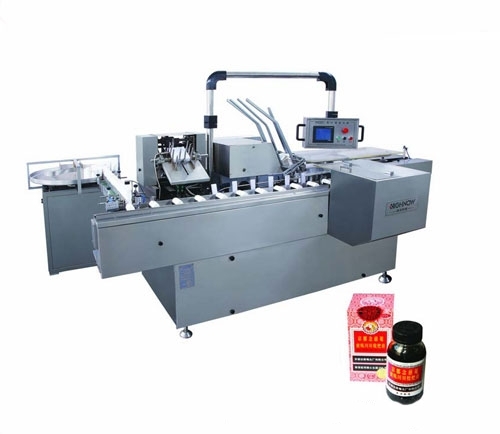 SHM100 Fully Automatic Cartoner Machine is suitable for packing pharmaceutical aluminum plastic and other relatedsimilar content compact with automatic fish folding, forming, opening and loading, batch number printing as well as sealing tec processes. It adopts PLC control, photoelectrictry supervision to coordinate with every parts. Once something unexpected happens when its operating. It can stop and display the reasons automatically. It is convenient to solve the troubles in time. This machine can be used separately, and also can used with other blister Packing Machine. Looking for ideal SHM100 Blister Packing Machine Manufacturer & supplier ? We have a wide selection at great prices to help you get creative. All the Automatic Cartoning Machine are quality guaranteed. We are China Origin Factory of Carton Packing MachineSea. If you have any question, please feel free to contact us.